David Brier - How to Brand an Annual Midwest Event? Capturing the allure of planes and cars into one image and dramatic poster was a treat to create. And creating the brand to reflect these two "cultures" was a terrific challenge. 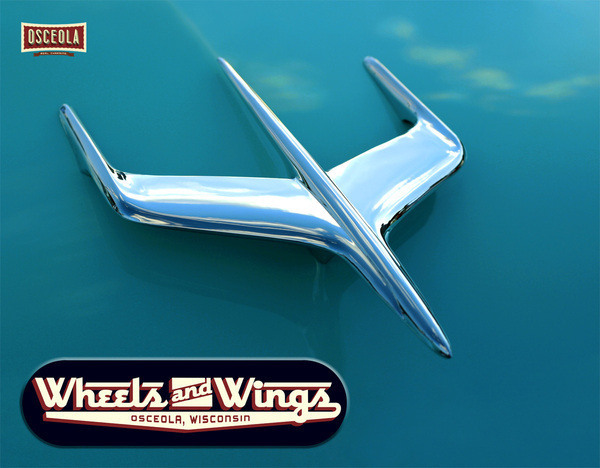 Award-winning brand identity expert David Brier was commissioned to develop the "Wheels and Wings" brand identity, a banner and poster design series and promotional merchandise items. Here's a sneak peek at a few of them. This is the banner which be about 37 feet wide, seen by 10s of thousands of drivers each day. This is the limited edition collectible poster that will be sold at the 2010 annual event.